The results of numerical experiments on setting the NEMO model during its preparation for the assimilation of oceanographic data are presented. The modeling of ocean circulation and sea ice characteristics is performed with two different configurations of NEMO with a 1° horizontal resolution and with two versions of the sea ice model LIM2 and LIM3. The sensitivity of simulation results to the variations in the vertical resolution of the model grid and to the selection of the methods for describing ice processes is studied. It is shown that the increased vertical resolution and the calculations with several ice thickness gradations lead to a better agreement between model simulations and observations. The model configuration used for simulations with the corresponding setting parameters is suitable for its inclusion to the ocean data assimilation system. Russian Text © V.N. Stepanov, Yu.D. Resnyanskii, B.S. 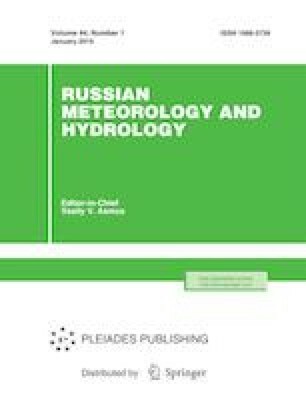 Strukov, A.A. Zelenko, 2019, published in Meteorologiya i Gidrologiya, 2019, No. 1, pp. 50–66.